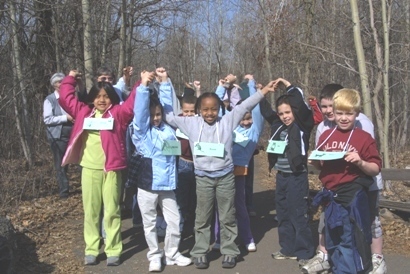 The Springbrook Nature Center Foundation (SNCF) is an entirely volunteer organization. We rely on the generosity of our donors to carry out our charitable mission. Donations are welcomed into our general fundraising, for a current project or for a specific purpose you designate. Make your donation via your choice of these purposes and methods: Recognition Donations, Pavilion Activity Center Donation, Cash, giveMN.org, Legacy, Wish List, Scholarships, Stock and InKind. Thank you. Donations are spent on many worthy projects. Examples: exhibit enhancements, educational program equipment, volunteer driven activities, physical site enhancements, scholarships and seed money for special projects. The SNCF Board carefully manages limited funds to achieve the maximum value of expenditures. The SNCF has no employees. All donations received are tax deductible depending on the current tax law. The SNCF is a 501 (c)(3) non-profit volunteer organization, dedicated to enhancing the Springbrook Nature Center. Be sure to save evidence of your donation for tax reporting purposes. The Federal non-profit identifying number is 23-7401835. The Minnesota Secretary of State identifying number is L-298. Thank you for your donation.